Dr. Branko Glusac specialises in facial rejuvenation surgery and nose surgery and is one of the most experienced rhinoplasty surgeons in Croatia. He frequently performs primary rhinoplasty and revision rhinoplasty and is often referred the most difficult cases to fix. With strong training in ear, nose and throat (ENT) surgery and plastic and reconstructive surgery, Dr. Glusac is highly qualified to perform both primary and revision rhinoplasty. Dr. Glusac trained in rhinoplasty surgery in the New York and Beverly Hills with some of the most respected names in rhinoplasty surgery. Dr. Glusac regularly visits leading surgeons in the USA to update techniques and share knowledge about rhinoplasty. With his extensive experience in revision rhinoplasty, Dr. Glusac is aware of the disappointment patients feel when primary rhinoplasty is unsuccessful and revision is necessary. 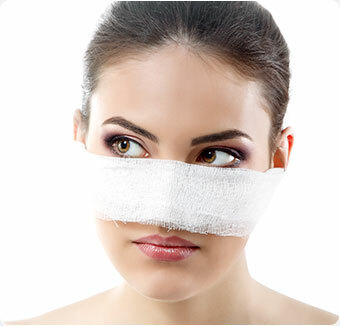 Revision Rhinoplasty is typically extremly complex and advanced surgery, requiring vast skill and experience. About 70% of my nose practice are revising noses from all over the Croatia and the word. Most revision rhinoplasty is performed by an closed approach. In almost all cases of revision rhinoplasty, extra material is needed for reconstructing elements that have been removed too aggressively or are not in the right place. Extra cartilage may be taken from the septum (the midline cartilage of the inside of the nose) or if this is not available, cartilage may be removed from the ear. If ear cartilage is used, this does not leave a visible defect on the ear as it is approached from behind. In modern revision rhinoplasty packing is very rarely used but as with primary rhinoplasty, it may be used on very rare occasions. All stitches are dissolving. The nasal cast is removed after five or six days, and you should generally be able to return to work after approximately 7 days.